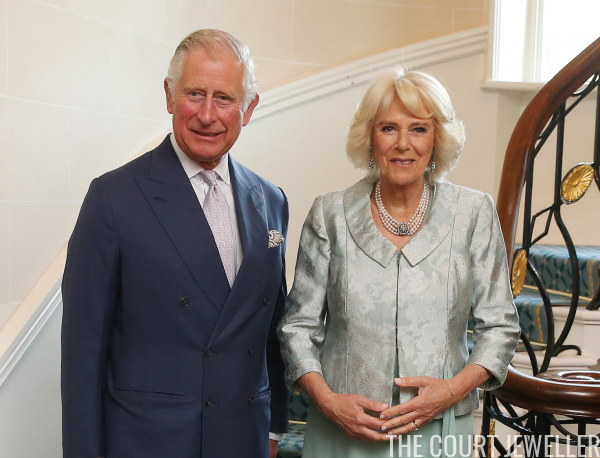 While lots of royals were in Norway toasting King Harald and Queen Sonja yesterday, the Prince of Wales and the Duchess of Cornwall headed to Northern Ireland for the first day of a two-day visit. 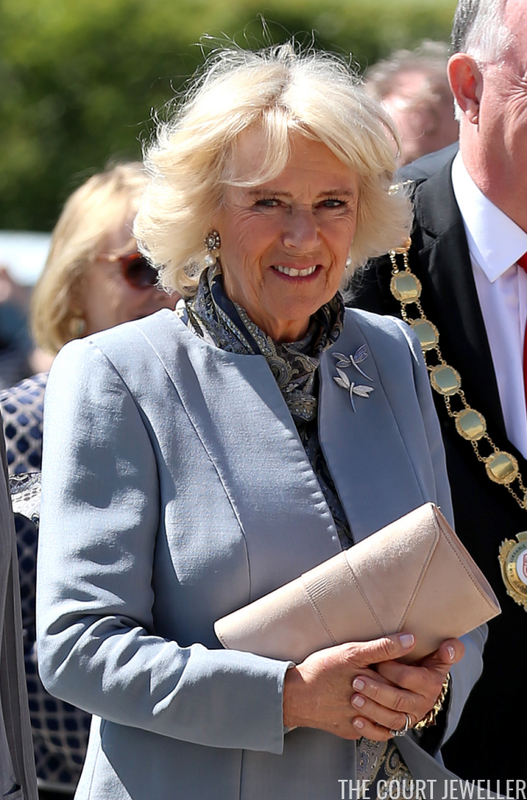 For the daytime engagements, which included a visit to the new Seamus Heaney center in Bellaghy, Camilla wore her diamond and pearl drop earrings with her paired dragonfly brooches. One is set with diamonds, the other with sapphires. 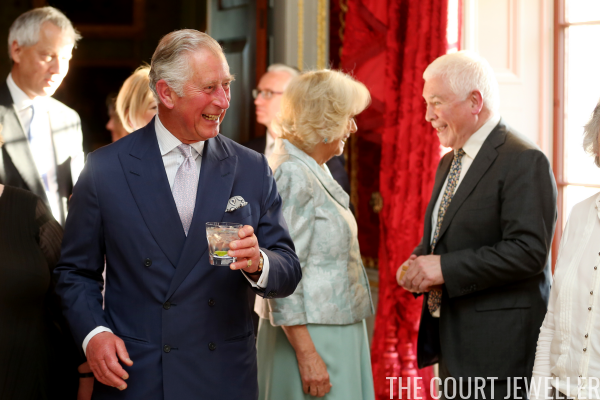 Last night, the couple traveled to Hillsborough Castle for a "Music and Words for a Spring Evening" performance. 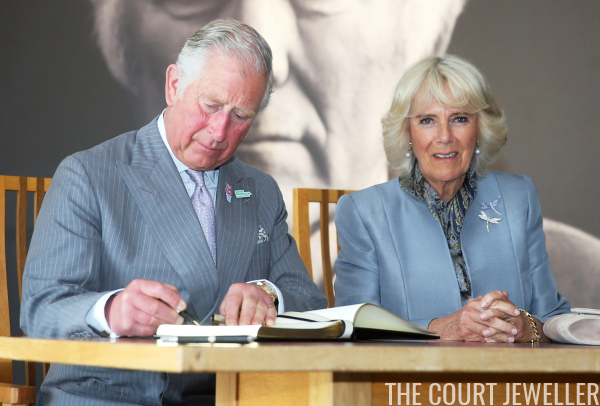 Camilla wore her turquoise and diamond earrings, plus one of her signature pearl choker necklaces. 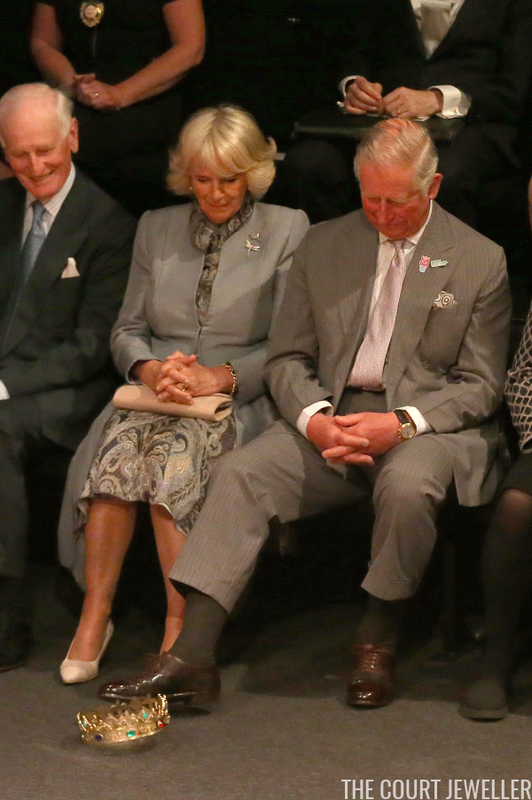 For this event, she chose the four-stranded necklace with the round diamond clasp.